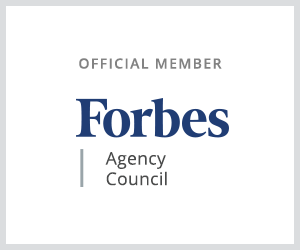 Reading, PA, October 3, 2016	(Newswire.com) - ​DaBrian Marketing Group, a full-service digital marketing agency, has been accepted into the Forbes Agency Council, an invitation-only community for executives in successful public relations, media strategy, creative and advertising agencies. DaBrian Marketing Group joins other Forbes Agency Council members, who are hand-selected, to become part of a curated network of successful peers and get access to a variety of exclusive benefits and resources, including the opportunity to submit thought leadership articles and short tips on industry-related topics for publishing on Forbes.com. Founded in 2008, DaBrian Marketing Group, LLC is a full-service digital marketing agency, focused on providing original and strategic digital marketing solutions for businesses, that want to create digital awareness, increase return on investment (ROI), and identify insights that not only will help achieve goals but will also help to increase your business's efficiencies. DaBrian Marketing Group’s services include email marketing, search engine optimization, pay per click advertising (ppc), website design, web analytics, social media marketing and more. Company headquarters are centrally located at 500 Penn Street, Suite 201, Reading, Pennsylvania 19602. For more information about DMG, visit dabrianmarketing.com or call 610.743.5602.